The beach is a way of life for many Australians who reside on the coastlines of our country. There is something quintessentially Australian about the sand and sea – it’s even mentioned in our national anthem. 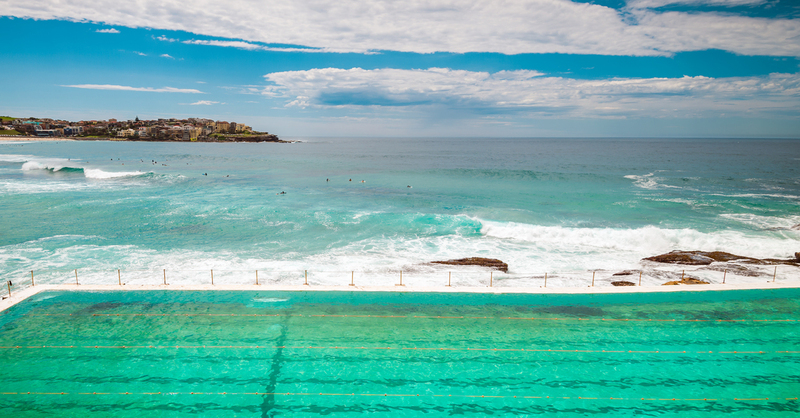 Due to concerns about public decency and morality, it was actually illegal to swim during daylight hours in Australia. However, by 1902, public opinion had swayed against the outdated ruling and several protests took place at local beaches by a few determined Sydneysiders. Soon after, the people were permitted to swim and surf to their hearts’ content – as long as they were modestly dressed. The surf, however, came with some challenges of its own, namely strong currents and rips which caused a number of drownings. Volunteers began beach patrols to keep bathers safe, and from these early beginnings the first surf lifesaving club was formed in Bondi Beach. By 1907, the Surf Bathing Association of New South Wales was formed with nine inaugural clubs from local beaches in Sydney. The group’s name was changed to Surf Life Saving Association of Australia in 1922 before its final change to the current name of Surf Life Saving Australia in 1991. The group is estimated to have rescued over 615,000 swimmers from beaches all over the country since its inception. Surf Life Saving Australia is thought to be the largest volunteer group in Australia, with a membership count of 166,923 in 2013. The majority of its services are delivered by these volunteers who provided 1.4 million hours of service in that year alone. As a non-for-profit organisation, Surf Life Saving Australia relies on community donations, fundraising, and corporate sponsorship in order to continue providing these essential services to Australians and visitors alike. The Surf Life Saving Foundation is the fundraising arm of Surf Life Saving Australia, which relies on the generosity of community members to assist in keeping Australian beaches safe. According to the Surf Life Saving Lotteries branch of the foundation, donations go towards four essential areas which require funding – rescue equipment and gear, training, first aid supplies, and surf safety community education programs. It’s not all about charity though. One of the ways that the Surf Life Saving Foundation raises much need funds is through the sale of lottery tickets. Charity lotteries have an esteemed place in Australian culture as they contribute to community development, safety, education, and enrichment. The great thing about Surf Life Saving Lotteries is that your generosity can be rewarded with fantastic prizes, including a brand new luxury prize home. 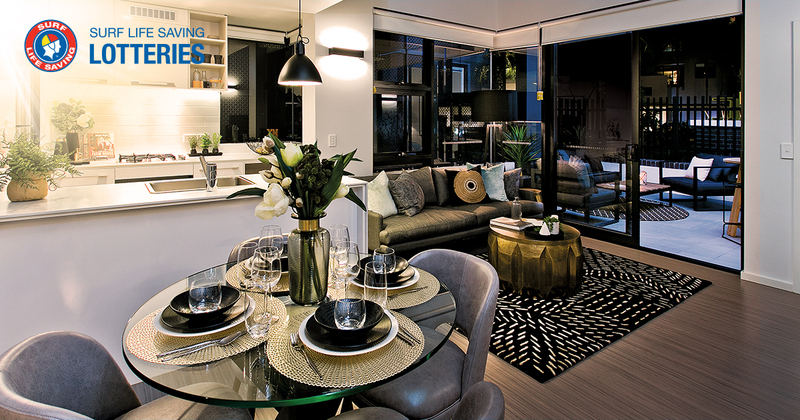 Just in time for Christmas, you could win this luxury apartment! Valued at $869,625, the 2 bedroom apartment is in the perfect location in the heart of Brisbane to enjoy the laid back city lifestyle. There’s plenty more reason to enter the draw with loads of bonus prizes on offer including of thousands of dollars’ worth of cashable gold bullion, luxury cars, and gift vouchers. And even if your ticket isn’t selected as one of the winners, you can take heart in the knowledge that you’ve contributed to the great Aussie institution that keeps our beaches safe. Next time you swim between the red and yellow flags, remember that the lifeguards who are watching over you are there because of the generosity of ordinary Australians like you.